Diesel Engines for Cars, Trucks & Equipment Diesel Engines for Sale: Buy Peace of Mind. General Motors started offering its Duramax or DMAX engine in 2001. Some might not know that this was a joint partnership with Isuzu. The ability to offer engines large enough for vans, trucks and heavy-duty trucks was born. Over one million of these V8 engines have been produced since the initial creation. What buyers search for is a way to save money buying replacements. 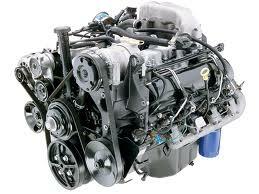 The Duramax diesel engines for sale through this website are extra special. These are custom built and reconditioned to be like new. This is just one difference here at https://dieselengines.co. The power, torque and horsepower in the DMAX editions are what these are known for in the auto industry. To power a larger truck, the pressure must be at a specific level. These diesels are able to provide more than enough power for any size truck that uses DMAX technologies. Over 300 horsepower is available as rated by the OEM specs. What is found through this company is a perfectly rebuilt edition. What this means is that the reconditioning process is thorough and the end result is something near new quality. This is important for all customers when selecting a motor on sale online. Any person can take parts off of an engine and make an attempt to put new ones on it. One of the secrets to a great build is education. Mechanics who perform our work are trained. It is the educational application of knowledge and testing that ups our quality. The use of testing equipment like digital tools and dyno testing is found here. There is no other way to verify how great of a rebuild each motor has been given. Through calibration and other testing, reports are often generated and compared to help minimize any risk of a problem. These tests are accurate and in place for quality control. The testing that is completed is not the only way that quality is verified. A visual inspection is made for the last part of the process. Since each engine will likely be used in a working environment, ensuring that leaks or other issues are not present is important. Testing is completed and Duramax motors are placed into our main warehouse for sale. Shipments are always made daily here. The team we’ve hired works hard. Freight agreements help us to keep the costs down for shipment. It’s not cheap to send engines from one coast to another. Our negotiating processes and great reputation have made it easy to get lowered pricing. Each DMAX motor sent out here arrives without problems or damage. This is backed by a complete warranty program. We use a form right on this very website that generate prices. It is this form that is your go-to form of contact before purchase. This puts you in touch with our company. You can call toll free and speak with us by phone. We let you decide. We work hard to keep prices low, give great service and make all customers happy. Don’t wait to call us. We have an extensive inventory of diesel engines for sale and are constantly adding them to our site. Don't see your engine? Don't worry! We have it. Give us a call for more information. Want to Buy a Refurbished, Affordable Replacement Duramax Diesel Engine?